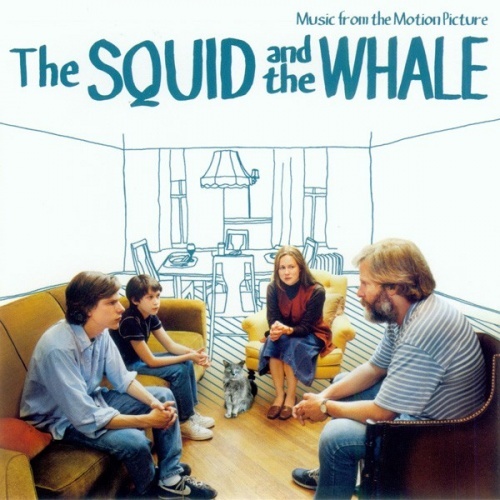 Noah Baumbach's 2005 film The Squid and the Whale deals with a divorce and its unlikely ramifications in a listless Brooklyn of 1986. You might recognize the heady, detached feel of its soundtrack from Wes Anderson films like Rushmore or Royal Tenenbaums -- Anderson produced this film, and music supervisor Randall Poster worked on all three pictures. But the similarities don't curtail Squid's effectiveness. Folk music and overcast East Coast days are the central themes here, with sleepy British folk from Bert Jansch -- all three of his songs conjure images of cloud blankets and belted cable-knit sweaters -- as well as the aching twine of Kate & Anna McGarrigle's 1975 gem "Heart Like a Wheel." Meanwhile, both "Swimming Song" and "Lullaby" are great examples of how Loudon Wainwright III can sing superficially about happiness while simultaneously trolling the depths of cynicism (a position that could double as the adolescent condition). "Hey You," the cerebral Pink Floyd ballad that plays such a role in the film, appears here in cover form from Dean Wareham; Wareham and frequent collaborator Britta Phillips also wrote two pieces for the film's original score, "Park Slope" and "Family Conference," and both tow the foggy line between dry Luna-ish style and that winsome daze so common to Anderson's (and now Baumbach's) films. It's only a matter of time until one of these guys' soundtracks taps Mission of Burma; The Squid and the Whale doesn't, but it has the almost-next-best-thing in the Feelies' "Let's Go." The Cars' "Drive" continues the East Coast feel, and the title track to Lou Reed's 1978 record Street Hassle finishes the dovetail. An epic, 11-minute New York City portrait, "Street Hassle" is The Squid and the Whale's "A Quick One While He's Away," the classic Who mini-opera that skirted the middle of Rushmore's soundtrack.